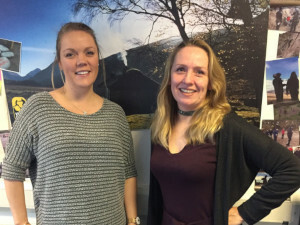 Claire Pomphrey and Tricia Edington started with Venture Scotland as fundraisers in August and have been tasked to bring in funds and investigate alternative income streams. Claire, within her role of Corporate Relationships & Events, is starting to build engagement with organisations to offer them corporate partnerships and corporate team building away-days. Tricia’s role is Fundraising & Communications and she is concentrating on applying to large funders such as the Big Lottery and Cashback for Communities, finalising a robust trust funding and reporting process as well as establishing a better external profile for VS by looking at getting the most out of our communication channels.